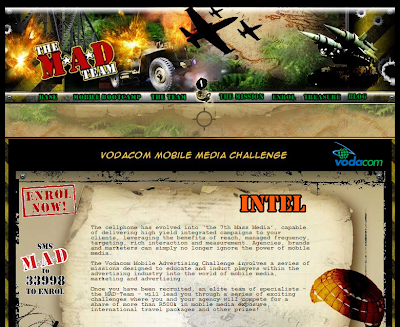 Vodacom Mobile Media has launched the Vodacom Mobile Advertising (MAD) Challenge, specifically designed to educate, inform and entertain advertising and media agencies about the power of mobile advertising through interaction with mobile platforms and services. Participants register to play and over the campaign period take part in a series of missions that simultaneously educate them about the various mobile advertising propositions offered by Vodacom and at the same time demystify the jargon. Players compete for a range of exciting prizes, including iPhones, idyllic holidays in Mauritius and Zanzibar as well as mobile media spend. For more information, and to register to participate, go to the website www.madchallenge.net.